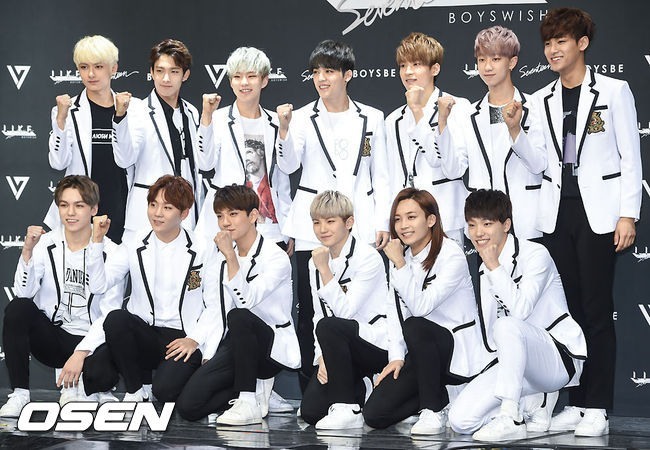 Korean rookie boy band Seventeen’s reality survival TV series “Seventeen’s One Fine Day” on MBC network kicked off Monday. Members of the band were pleased to go on their first excursion since their debut in May 2015. 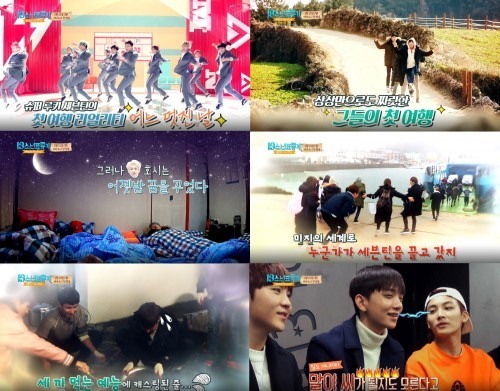 “We haven’t experienced school field trips unlike normal students since we were trainees from a very young age,” members said in the first episode. The 13-member group filmed the reality show for a week on a remote island in South Jeolla Province in early January. The winner of rookie award at 25th Seoul Music Award marked the ninth K-pop entity to appear on the series. The show has featured boy groups SHINee, B1A4, Super Junior, VIXX and girl groups AOA, Girls’ Day and GFriend, and musicians Ailee and Amber of f(x). The entertainment show is aired via satellite TV channels MBC every1 and MBC Music on Mondays at 6 p.m.